Today is monumental if you live in London and have an uncontrollable shoe obsession, for today is the day that Fenwick of Bond Street open their massive Shoe Corner. Yes, yes, I know what you're thinking. Yet another shoe space, right? Well, think again, dear reader as this isn't just any shoe space. 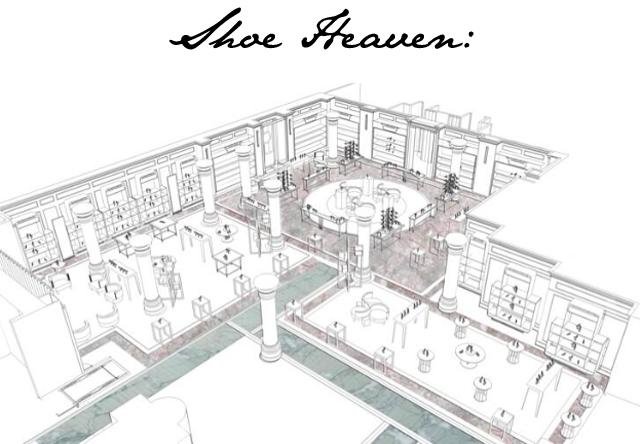 This is a 4,200 square foot space offering over 8,000 pairs of shoes selected from the world's finest designers. Oh yeah, stuff just got real. The space, which is inspired by a 1920's Mayfair Townhouse, is said to be monumental. Of course only a select few have been in to see if before now. Naturally by "select" we mean the cream of the fashion crop. Hilary Alexander and Catherine Kallon are leading the charge here. 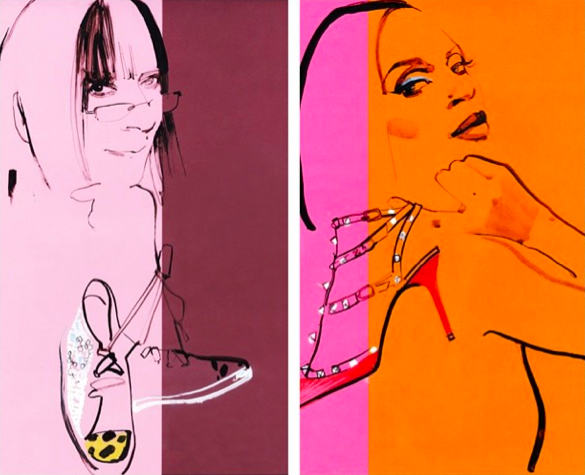 They both threw on hard hats and stepped inside the build before being sketched by David Downton for special window displays, which will launch for the world to see today (check out the sneak peek below). 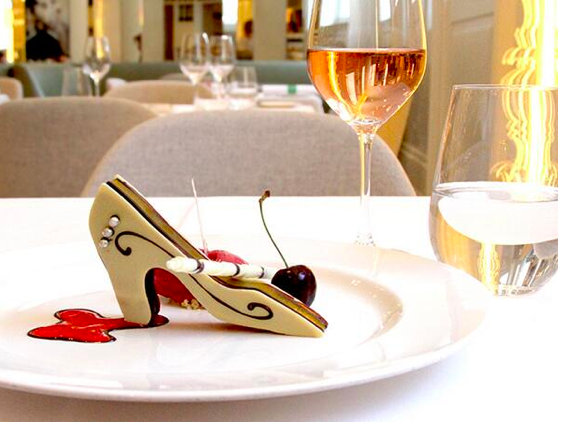 There's even a special sweet edible shoe available Bond & Brook. Really, do you have an excuse now not to go and check this out?